If you have oily skin, you’ll probably have a good idea how irritating it is to feel your face greasing up after just a few minutes of washing it. Although annoying, oily skin problems in men aren’t too hard to resolve. In fact, using products that are specifically formulated for your skin type may be enough to end your oily face problems. To help you out, we’re listing down the 5 best face washes for men with oily skin we’ve found. These products contain ingredients that can help cut down your face’s greasiness without smelling too feminine. Lavo Clarifying Facial Cleanser is packed with a lot of potent ingredients that includes salicylic, lactic and glycolic acid. It's also infused with Botanical Extracts to keep oiliness at bay. It has a mild minty scent that isn't overpowering. It lathers but doesn't foam up when used. La Roche-Posay Effaclar Purifying Foaming Cleanser for Oily Ski﻿n can keep your skin looking matte for several hours. Although it can strip excessive oil, it won't leave your skin too dry. OZ Naturals Facial Cleanser is also effective in clearing out oil. In comparison, however, this product has 97.4% natural ingredients. In contrast with the other products, Basis Cleaner Clean Face Wash can make your skin feel a bit dry after use. However, as for effectiveness, a lot of users claim that it's effective in addressing their skin's oiliness. 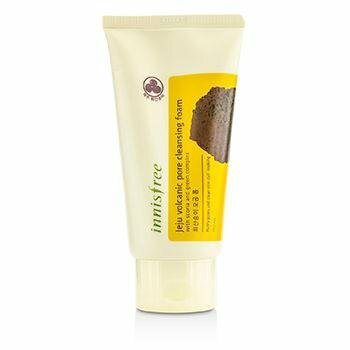 If you're troubled with blackheads other than oily skin, then Innisfree Jeju Volcanic Pore Cleansing Foam can be the right fit for you. Aside from keeping your face oil-free for several hours, it's also effective in clearing out blackheads. This product is specifically formulated for oily and blemished skin. It has salicylic and lactic acid which are both considered effective in preventing breakouts, particularly in oily and acne-prone skin. It can also shed away dead skin cells with its Alpha and Beta Hydroxy Acid contents. To minimize your skin’s oiliness, this cleanser has Vitamin B and Botanic Extracts. In using the product, you should take note that although it lathers up a bit, it doesn’t foam up. It’s easy to wash off and will leave your skin feeling refreshed. The consistency is thin and it has a clear color. As for the scent, it has a faint minty smell. People who have tried the product have seen visible improvements in their skin. They even noticed the product drying up their acne without dehydrating the rest of the skin. One downside of this cleanser is that it may not be suitable to use on highly sensitive skin. There are, on the other hand, a few people who found the formulation of the product not enough for them. This cleanser can effectively reduce your skin’s oiliness while maintaining its natural pH. It also doesn’t completely strip off its moisture to prevent overdrying. It’s alcohol and soap-free which makes it gentle enough to use twice a day. To get the most out of the product, it’s recommended that you use lukewarm water in turning the product into foam and in rinsing it off. The cleanser is concentrated which means a little amount goes a long way. Users tell that one tube can last them for several months. Aside from controlling oil, the product also works well in clearing up and soothing red and blotchy skin. It can keep your skin matte for several hours. The cleanser actually costs higher than your typical face cleansers. Although a few users argue that it’s expensive for a cleanser, there are a lot of people that say the product is worth every cent. Packed with spirulina, giant sea kelp and rose hips extracts, this cleanser from OZ Naturals is gentle enough to use on sensitive skin but effective in unclogging pores. It’s organic and doesn’t contain alcohol, paraben or even sulfate. It also has more than 92 ocean minerals to help repair your skin. We also like that it has Vitamin E to provide a good source of antioxidants. The consistency of the product is thin and a bit watery. It cleanses the skin without leaving it feeling tight and dry. Because of its ingredients, the cleanser has an “organic scent” that tends to fade away as soon as you rinse it off. In using the product, we strongly recommend that you take extra caution when using it near the eye area as it can cause a burning irritation. Basis Cleaner Clean Face Wash is 100% oil and soap-free. Aside from that it’s good in addressing excess oil, it’s also effective in lifting away dirt that can clog your pores. It has mint, aloe botanicals and mint to make your skin feel refreshed after wash. As for its scent, it goes with a neutral smell. It starts out clear and turns white once you’ve foamed it up. After use, make sure to apply the right moisturizer as it can leave your skin a bit dry. Despite its mild drying effect, it still works well even on those with sensitive skin. A lot of users have actually been using the product for a long time. If you have large pores on top of your oily skin problems, then we strongly suggest checking this product out. A lot of users say that their skin has dramatically improved after using it. In fact, they noticed that their skin is less dull and looks more refreshed. They even experienced receiving compliments for the improvements. It contains a few beads that melt as soon as rubbed on the face. It foams up but not excessively. After wash, it will take several hours, around 6 to 8, before you notice your skin mildly oil up.Aside from pore size, it can also help clear up blackheads and other skin impurities. The consistency is thick which may leave a slight residue on your skin. For people with oily skin, it’s relatively easy to confuse oiliness with moisture. If you don’t regularly apply moisturizer, the tendency of your skin is to produce more oil to protect itself. Exfoliation is essential for every skin type. For your skin, however, it’s not recommended to exfoliate too often as it will only trigger more oil production. Choose shaving products that don’t contain alcohol. Establish a good skin care routine and stick with it. The best face wash for you should be able to control your skin’s excessive oil production without over drying it. It should also be able to address your large pores and the coarseness of your skin. It should be oil and soap-free. Finding a wash that includes mild exfoliators is also recommended. It may also include salicylic acid or benzoyl peroxide to prevent acne formations. Geranium oil is also a good ingredient to have in a face wash. It has both antiseptic and soothing properties. Coconut-based cleansers are recommended as well. They can assist in deep cleansing without intense drying effect. For this roundup, we're placing Lavo Clarifying Facial Cleanser as the best face wash for men with oily skin. With a mild minty scent, it can leave your skin oil-free and feeling refreshed. We particularly like that the product contains lactic, glycolic and salicylic acid. Aside from oil-control, it's also helpful in mild exfoliation. The product is also good to use on acne breakouts as it can dry up pimples without compromising the integrity of the rest of your skin.